FNB recently made an exciting announcement regarding those astute customers that use the FNB app. As of July 1st, so a few days ago, accessing the banking app will now not chow your data, in fact, the banking app will no longer need data at all to be accessed via a smartphone. 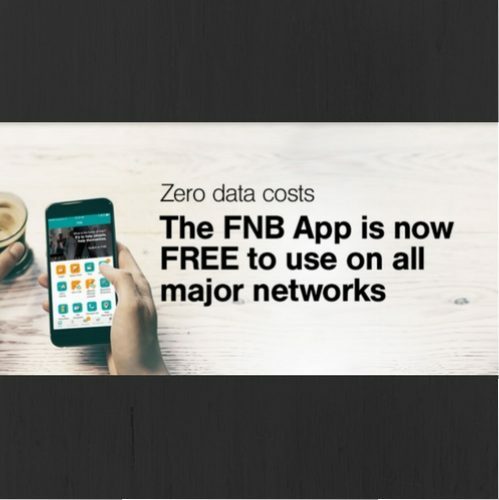 Those clever chaps at FNB have somehow wangled a little deal with each and every one of the major mobile network operators in South Africa to “zero rate access” to the FNB banking app, which lets all customers use it at no extra cost. As if offering free access to its app to FNB Connect customers and offering free WiFi in most FNB branches for customers to download the app wasn’t enough, they’ve added this little gem of a deal to their arsenal. “Since launching the app six years ago, has it not only become the most downloaded,” said Giuseppe Virgillito, FNB Digital spokesperson. “But also the most popular banking app amongst consumers according to the ratings in the SAcsi and Columinate SITEisfaction Index’s 2017. “We believe that access to data or airtime should not be a barrier to safe and convenient banking for South Africans. The zero rating of the app is in line with our broader strategy to migrate customers to digital and electronic channels where a number of transactions and services are already offered free of charge,” adds Virgillito. The FNB banking app not only offers customers convenience, but increased value through its industry leading features that cater for the basic and advanced banking transactions in the hands of customers. “We attribute the success of the banking app to continuous innovation and meeting more than the basic banking needs of our customers,” adds Virgillito. The latest version of the FNB banking app also boasts industry-leading security features, as fraud continues to be a global concern for customers that use digital platforms. The inContact solution has evolved to introduce Smart InContact. This allows customers to receive secure online banking transaction approvals on the FNB app without relying on SMS or email technology, easily interceptable by fraudsters. Smart inContact on the FNB also notifies customers of all transactions, from as low as one cent, with full control to report fraud with 1-touch of the “Report Fraud” button to the 24/7 FNB fraud line. The app also works with online banking to verify devices that customers use to transact on their respective profiles. Only verified devices with the app installed receive Smart inContact transaction approvals. Logins to online banking also trigger a Smart inContact notification for customers to be notified whenever their online banking is accessed. App users can also authenticate themselves through fingerprint ID available to both Android and iPhone owners, which uses a fingerprint sensor to verify the user before giving access to the account profile. All in all, the FNB banking app is currently ranked the best in South Africa by customers in both the South African Consumer Satisfaction Index 2017, and in the Columinate SITEisfaction Index 2017. The app has also been ranked best in South Africa by international benchmark studies, such as MyPrivateBanking Research and Finalta, where international banking experts rank the FNB banking app as standing shoulder to shoulder with the best in the world.